» Moratorium on Digital Billboards a Good Idea? Make Your Voice Heard! 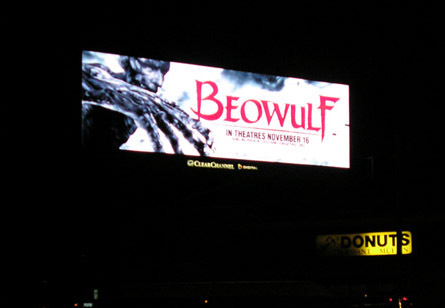 Moratorium on Digital Billboards a Good Idea? Make Your Voice Heard! • SAFETY: These billboards are designed to distract, and that may in turn cause drivers to misjudge traffic conditions or misinterpret a traffic signal, thereby increasing the potential for accidents. A study on driver behavior by the National Highway Traffic Safety Administration showed that distractions in which a driver spends more than two seconds looking elsewhere than the road contributed to 22% of accidents. The Federal Highway Administration is now undertaking a study of these issues, and two states—Montana and Kentucky—have declared moratoriums on digital billboards along state highways pending the outcome of such studies. • LIGHT POLLUTION AND VISUAL BLIGHT : The intense, constantly-changing light from these billboards is having a negative impact on residential neighborhoods. Even with shades drawn, some residents have suffered from the spill of light into their windows throughout the night. The billboards are often much brighter than anything around them, and seeing them is a jarring visual experience. • ENGERGY CONSUMPTION: Even though digital billboards with their thousands of LED’s use far more energy than conventional billboards, the city has been exempting conversions from any review required by the California Environmental Quality Act. Allowing this in an era of climate change and the need for energy independence is completely irresponsible. At the very least, it is contrary to the mayor and city council’s stated goal of making Los Angeles a “green” city. Please send your own comments to the planning commission as early as possible, so that commissioners will have the opportunity to fully hear the public’s concerns. If you live near any of these billboards, or drive by them regularly, please describe the impact they have on you. And if at all possible, plan to attend the Oct. 16 hearing. Many, many people are concerned about this issue, and with a strong showing we can make our voices clearly heard. I am writing to support a moratorium on converting conventional billboards to digital in Los Angeles. I am concerned about questions of traffic safety, light pollution, visual blight, and the energy used by these signs. Until these issues have been thoroughly studied, it is irresponsible to allow more conversions to take place.